If 2018 has taught us anything, it's that newer doesn't always equal better. 1. 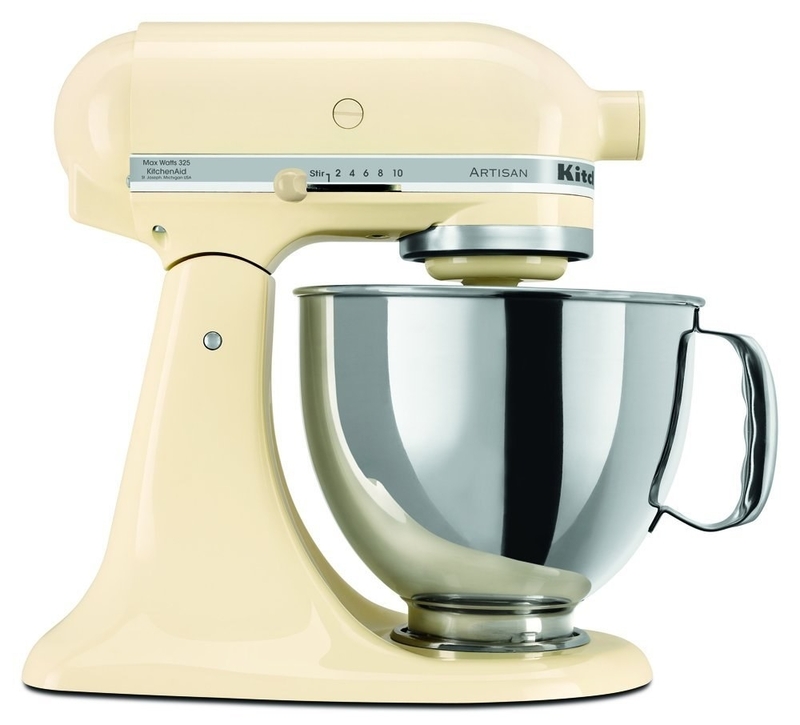 A KitchenAid stand mixer, the incredible appliance that will likely outlive you. I've said it before and I'll say it again: I have the mixer my mother got as a wedding gift 40 years ago, and it works like a dream. Oh, and it makes baking SO. MUCH. EASIER. 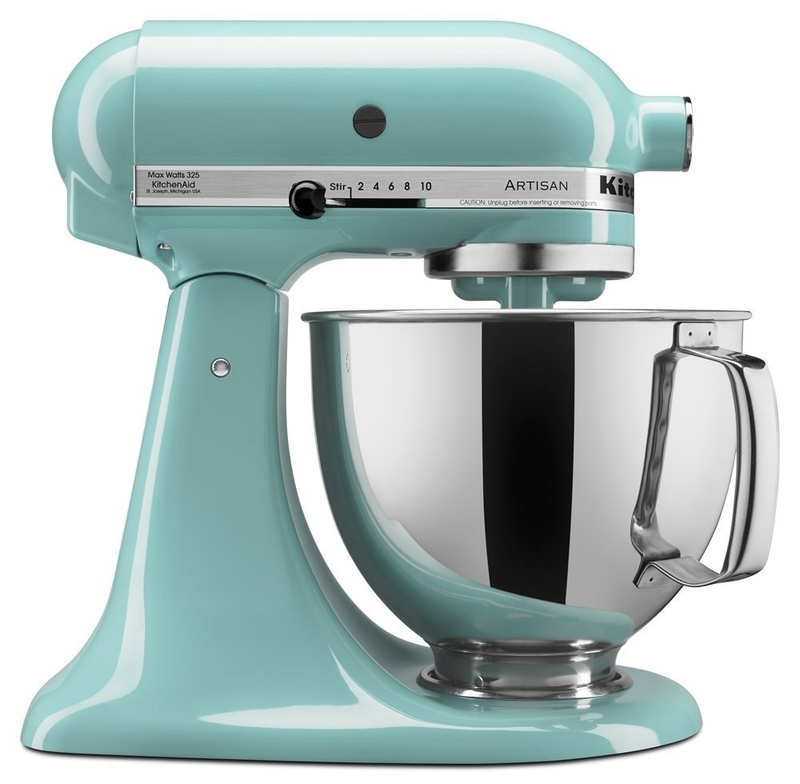 Get a new 5-quart mixer from Amazon for $259.95 or from Jet for $379.99, or a refurbished mixer for $199.99+ from Amazon (available in multiple colors). 2. A hand-crank egg beater, so you can work out your forearms as you scramble your eggs. Promising review: "I have had all sorts of egg beaters over the years and this one wins hands down! The action on it is fantastic. I had an old antique one that I absolutely loved, but it finally bit the dust. I never thought I would find another beater that I liked as much as that old one, but I am a convert. Comes apart and I just throw the bottom half into the dishwasher. There is no way I would recommend you spend your money on any other egg beater. Amazing find!!!" —Kim G.
3. A butter churn, because churning is the new pickling. Get the churn for $38.97 or the churn and starter kit for $68.99 from Amazon. 4. A pretty butter crock, since you'll need somewhere to put all that butter you just churned out (or actually any butter you want to keep soft and spreadable). Get it from Amazon for $36.85 (available in multiple colors). 5. A wooden citrus reamer that proves sometimes low-tech is best. 6. A vintage-style bread box that will look adorable while it keeps your loaves fresh. 7. A Chemex coffeemaker, for the best dang pour-over coffee you or your grandma has ever tasted. To quote BuzzFeed writer Tom Vellner, the Chemex is "the best thing in my kitchen." Get it from Amazon for $45.14. 8. A stainless steel analog kitchen scale so you can portion foods and ingredients without dirtying up a bunch of measuring cups. Just lift off the weighing bowl and rinse for easy clean up! Made with an eleven-pound (5-kilogram) capacity scale. Get it from Amazon for $21.41. 9. A classic stovetop percolator, for another great low-tech brew. 10. A pie box perfect for pie-hards who need a better way to transport their handiwork. Team pie forever! You can also get a handsome leather strap for the box, in case you're ready to take this tartnership to the next level. Get it from Food52 for $28. 11. Reusable bee's wax wrap, which will keep cheese, bread, and vegetables fresh—no plastic required. You warm it with your hands before wrapping up your food, and it hardens and seals when it cools down! Bees are miracles. Get it a set of three sheets from Amazon for $18 or from Food52 for $20. 12. A mortar and pestle so you can grind up spices as your ancestors intended: with a rock. 13. A manual pasta maker that will help you channel your inner Strega Nona. I just learned that Strega Nona means "Grandma Witch"!!! 14. A manual coffee grinder to unleash the flavor of your beans for years to come. 15. A stovetop popper that will convert you from microwave popcorn. Get it from Amazon for $28.41+ (available in red or silver) or from Jet for $32.45. 16. A French-style rolling pin bakers swear by. Promising review: "All bakers need one of these. My last one lasted over 20 years... until my Golden puppy got ahold of it. It's a must for a professional cook and for those of us who love to bake." —Sandra L.
Get it from Amazon for $12.21 (available in two sizes). 17. A cast-iron skillet so good you'll ghost on Teflon. Promising review: "I now own the 6.5, 8, 10, and 12 inch skillets. They are almost non stick, clean up easily with warm water, and are so much healthier to cook in. My grandmother cooked everything in cast-iron. Food tastes so much better, just the way it use to be. The price is just great and these pans will be handed down to my grandchildren because they will last forever. I highly recommend these skillets." —Mark in Pa.
You can find our pick for the best cast iron skillet in three different price points on BuzzFeed Reviews. Get it from Amazon for $14.88 (available in 10 sizes) or from Jet for $8.83+ (available in 9 sizes). 18. A pie bird, to make your sweet treats sing. Get it from Amazon in multiple colors for $11.95, or from Wayfair in black for $14.46. 19. A classic can opener made with a carbon steel blade, because you don't need one 'till you really need one! Get it from Amazon for $17.49 (available in three colors). 20. A Le Creuset Dutch Oven that'll withstand temperatures up to 500ºF and last for generations and generations! Get it from Amazon for $379.95 (available in 12 colors). Take it away, Chef Julia! Reviews in the post have been edited for length and clarity.